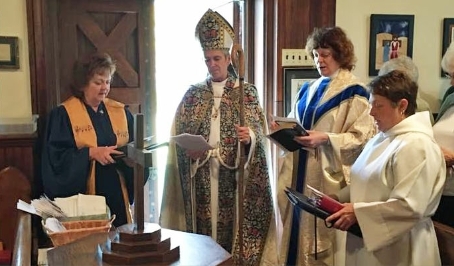 The Episcopal Diocese of Central Pennsylvania is comprised of 24 counties and stretches from the Mason-Dixon Line in the south to the New York border in the north. 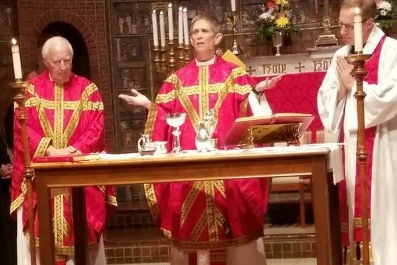 The Diocese is led by The Right Reverend Dr. Audrey Cady Scanlan who was elected by the Diocese in March 2015, and consecrated in September 2015. Bishop Scanlan is the eleventh bishop of the Diocese of Central Pennsylvania. The Diocesan Center is located in downtown Harrisburg and is joined by St. Stephen’s Episcopal Cathedral (founded in 1826), and St. Stephen’s Episcopal School, on the same city block. We are an Order, not a group or organization. An Order is a community under a religious rule; one requiring members to take solemn vows. We don’t just enroll as members and attend meetings; we take lifelong vows to follow the Rules of Prayer and Service. The Order of the Daughters of the King® was founded by Margaret J. Franklin at the Church of the Holy Sepulcher in New York City in 1885. 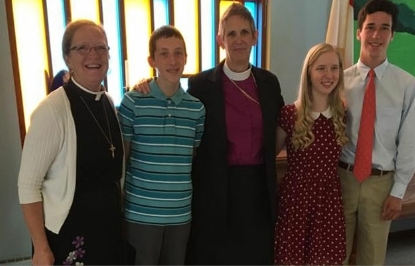 If you are interested in becoming a Daughter, or would just like more information, please contact The Diocesan Assembly of Central Pennsylvania. We would love you to explore the possibility of a Chapter at your parish!